Have you ever wondered if you can litter train a hamster? And if so, what’s the best hamster litter box to use? If you’d like to know more about hamsters in general, here’s a link to all our hamster information! However, now we want to talk about a very specific topic: hamsters and hamster care and cleaning. 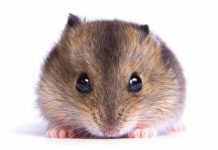 As an animal normally kept in a cage or other enclosure, a hamster’s space needs to be kept clean to reduce smell. This is for the health of the critters, and the comfort of both hamster and human. If a hamster could be litter trained, their mess confined to a litter box would make keeping their space clean so much easier. If you have a hamster, you know that their bedding needs to be changed regularly to maintain this sort of good hygiene. The question is, can you potty train a hamster to use a litter box? Can Hamsters Use Litter Boxes? 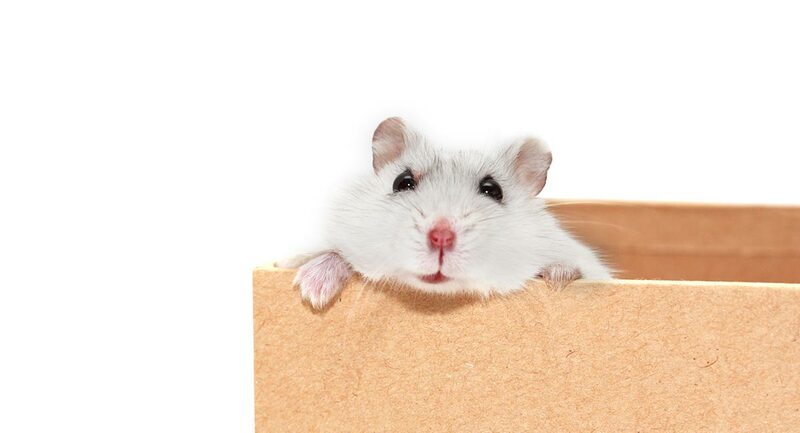 Do hamster litter boxes work? Hamsters are a surprisingly good critter for being trained to use a litter box. To litter train hamsters isn’t difficult! Many hamsters actually very quickly take to using a hamster litter tray. Some may even prefer it. Hamsters can do well with litter boxes because they are naturally latrine animals. This means they already have the instinct to relieve themselves in the same spot in their habitat. Most hamster owners already know that their hamsters have a favorite corner to do their business in. Litter training a hamster really just means tricking or convincing your hamster into making their potty area a container that is easier for you to clean. Training a hamster to use a litter box can be as simple as placing a litter box in their preferred latrine corner. If you just got your hamster, or have moved him into a new enclosure, you’ll need to wait some time for them to pick a potty corner before you can start litter training. Start by placing the litter box in your hamster’s latrine spot instead of the normal bedding. Save some soiled bedding and place it into the litter box on top of the layer of fresh litter. Hamsters have poor eyesight and are extremely scent oriented creatures. They will need a little soiled bedding in the litter box to both find it and understand that is what this new area is for. Let your hamster investigate and discover the new litter box for themselves. It is very important that you let your hamster explore the new litter box on their own time and on their own terms. Hamsters are very sensitive creatures, and attempting to force or coerce them into going into or using a new litter box could be scary for them. If a hamster is frightened by the new experience of a litter box in their enclosure, they probably won’t want to use it all. If your hamster does not immediately take to a hamster litter box, do not lose hope. It may simply take some time for him to get used to a litter box in his area. Some hamsters may chose to sleep or hide food in the litter box instead of using it for a latrine. This may mean they are unhappy with their current sleeping area. It also may mean their enclosure is too small for them and they feel the need for more places to stash food. If their enclosure is larger and they have multiple potty spots, you may need to put a hamster litter box in each one. Some hamsters are stubborn, and may resist litter boxes entirely. You will need to decide what is best for your hamster. Try moving the litter box into different spots of their enclosure, and keep placing soiled bedding and droppings into it. You may need to try different litter boxes until you find a size and design that your hamster prefers. There is also the chance that your hamster will not only not use a litter box, but will instead chew on or destroy the litter box. If your hamster is prone to chewing and destroying items, you may want to keep a close eye on him when you introduce a litter box. Use your best judgment if a litter box is a safe choice for your hamster. The best litters for hamsters are the ones that are specially formulated for hamsters and other small animals. Litters that are safe and healthy for hamsters are dust free and do not have any additional harmful chemicals added to it. Also, never use any sawdust or wood shavings, especially from pine or cedar wood. Pine and cedar contain volatile oils, which is why they smell so fresh and good to us humans. Those oils, however, are very harmful to hamsters and other animals. Always use bedding made to be safe for use by small animals like hamsters, gerbils, ferrets, or hedgehogs. Hamster toilet litter is usually made from paper, straw, wood pulp, or other plant based materials. Can You Use Cat Litter for Hamsters? No! Please do not ever put litter developed for cats into your hamster’s litter box. Cat litter is designed for use by cats, and could cause serious health problems for little critters like hamsters. Many cat litters are made from or contain clay and sand. These create small granules and can get into a hamster’s eyes or ears, causing scratching and other damage. A hamster can also swallow or chew on litter, and if they ingest any cat litter, it could cause intestinal blockages. An intestinal blockage is a very serious condition that can quickly become fatal. Cat litters also tend to be doused with chemicals to cover ammonia odors. These chemicals and scents can be very harmful to a hamster. There are plenty of specially formulated litters for hamsters and other small animals available. Always use a litter designed for hamsters and little critters. Avoid using cat litter for hamsters! Because hamsters are such sensitive little animals, we want to be sure that we only give them litters they can handle. There are lots of great choices for litter and bedding that have been formulated specifically for hamsters and many other small pets. Hamster litter is a pretty unique product, so we have gone a head and done some leg work for you. Below we’ve listed several of the best hamster litters we could find. We went over the pros and cons of these products, and listed them out for you. This is a natural bentonite potty litter designed for hamsters, gerbils, and other small animals. It is made from clay, which is normally not a good idea for hamsters. However, Kaytee makes this hamster potty litter specially from volcanic ash clay, which makes it dust free and hypoallergenic. This product comes in an easy to store size of 16 ounces, or super-saver size of 8 pounds. The rounded granules make potty training simple and comfortable for smaller critters like hamsters. Many buyers of this product report that it does very well in reducing and even entirely eliminating latrine smells that many hamster owners struggle with. This product is of natural pellets made from 100% recycled paper. The pieces are a lot bigger than the smaller granules of other litters, and can be used as bedding as well. While it is made with bigger pets like ferrets and rabbits in mind, it would still work very well as litter for adult hamsters or the bigger breeds of hamsters. The pellets are absorbent, deodorized, environmentally friendly and completely biodegradable. Because this product is made from paper and not clay, it doesn’t stick to the sides and bottom of a litter box like clay litters tend to. Another product made from recycled paper, this item is also a safe and effective choice for small animals like hamsters. These pellets are super absorbent and biodegradable. You can compost them, and they are even safe to put in an incinerator. Not only does this litter eliminate and lock away odors, but gives nearly twice as much volume of litter when compared to clay litters. The odor reducing feature of this litter comes from the baking soda included in the pellets. While baking soda is safe for hamsters in reasonable amounts, there are other critters, such as rats, that will find it toxic. If you are looking for a litter or bedding for a multiple-critter home, double check if baking soda is safe for all your furry friends. Now that you have an idea of what kind of litter you want to use, here comes the other important thing. What is the best litter box for a hamster? What’s the best dwarf hamster litter box? The good news is there are lots of litter boxes, trays, pans, and potty enclosures to choose from. 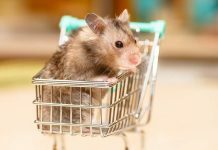 Because there is such a wide variety of choices, it can be a little overwhelming to choose the right one for your little critter. Here is our list of some of the best litter boxes for a hamster. This litter box is entirely disposable. Made from recycled paper, it is safe to throw away after it has been used for a while. Despite being made of compressed paper, it doesn’t shed or leak. It is extra protective against odors. This litter box comes in different sizes, ranging in suitability from large cat to small gerbil. So if you do decide to give this box a try for your hamster, be sure you get the small size. These boxes are a little bulky, and would be better used in a larger enclosure. This litter box is a great size and shape for hamsters and their enclosures. This box is corner shaped to keep it in a convenient spot. It’s just big enough for a hamster without being overwhelming, like a box for a bigger critter would be. Designed to attach to the side of a cage, this hamster litter pan has a removable floor grid that helps keep your critter’s feet clean and out of any messes. Made in the U.S.A., this product is a great starter potty. It includes a manual, scoop, and sample of litter. If you are unsure if litter training would work for your hamster, this is an inexpensive test to see if your critter is responsive. This hamster potty is best for a smaller hamster. – either young, or a dwarf variety. It may simply be a bit too snug for bigger or older critters. This potty is free standing and doesn’t have to latch or lock onto a cage, so it can be placed anywhere in your hamster’s enclosure. This product also hooks and latches into the corner of your hamster’s cage. It will attach to any wire cage securely, keeping it in place. This stain and odor resistant plastic litter pan is easy to clean and a good size for hamsters of all sizes. The low front entry makes it easy to get into, and the high back keeps litter in the box. 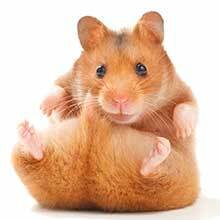 Hamsters are naturally latrine creatures and many already have a preferred potty spot in their enclosures. Litter training a hamster can be easy, and helps keep an enclosure tidy and clean. Some hamsters are stubborn and won’t want to use a litter box. 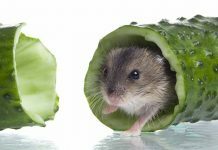 You’ll need to see what your hamster prefers and decide what’s best for them. Has litter box training worked for your hamster? Let us know in the comments! Wolfensohn, S. & Lloyd, M., (2003). Handbook of Laboratory Animal Management and Welfare, Third edition. Blackwell Publishing: Oxford, U.K.
Royal Society for the Prevention of Cruelty to Animals (2013). A suitable environment for hamsters. Veilette, M. & Reebs, S. G., (2010). Preference of Syrian hamsters to nest in old versus new bedding. Applied Animal Behaviour Science, 125. Adby, S., & Neill, D. O, (2004). Hamsters in Sickness and in Health. Capall Bann Publishing: Milverton, U.K.